Project Manus is MIT’s effort to upgrade makerspaces and foster maker communities. MIT has long been a leading example of how to integrate ‘making’ into education. Maintaining this leadership requires adaptation of new technology, tools, training and means of improving access for students. Project Manus’s goal is to maximize the impact of ‘making’ upon academic and extracurricular life, to foster student communities around maker-based learning, and to provide a maker ecosystem wherein student ideas become world-changing technologies. 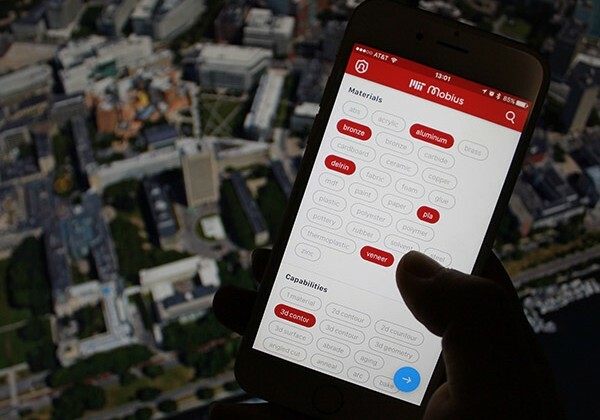 The MIT Mobius system is designed to help members of the MIT community navigate the vast array of resources used to ‘make’ or measure available on campus. Mobius also enables facility/equipment managers to manage their spaces, equipment, and user training.